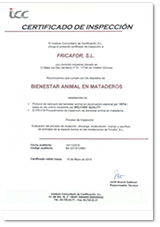 Fricafor guarantees the quality and food safety of its meat products with a thorough and strict monitoring of traceability and quality control from beginning to end. 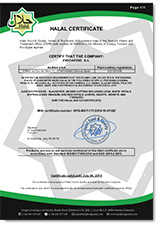 We are endorsed by quality and Halal certificates. Our vision of meeting the needs of Muslim consumers in Europe, South East Asia, North Africa and the Middle East comes from the growing demand for Halal products. 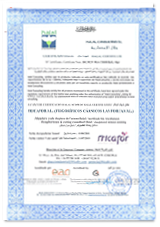 Fricafor has an integrated Halal production process and an experienced human team that follows Islamic values. The Halal label adds value to our products and ensures their quality throughout the entire production, handling, storage, transportation and distribution processes.